I will not answer that question because you obviously know the answer. But if it is still not obvious or you’re oblivious then let me say it briefly – because we are all just expats in our host country and sooner or later we will leave whether we like or not, voluntarily or involuntarily and the worst that can happen to us is finding that we don’t have enough means supporting our loved ones. I’ve seen a former classmate venting his frustrations on Facebook on how he’s depressed that he can’t go back to Saudi (visa issues as I figured out). I am a child of a former seafarer and I know how difficult it is when your father took longer than usual boarding another vessel. The money runs out and everyone in the family feels the pinch. The question might be so easy and we can come up with hundred of answers but in reality it is easier said than done. I came to Dubai 11 years ago and someone would think that I may have saved a fortune considering the number of years I’ve been into this country. OFWs are all expected to save, right? But honestly, me and my husband had only started saving probably 4 years ago and had been saving almost 40% of our combined total income recently. We can save more but we want to be realistic and allocate some amount for shopping/dining out and emergency expenses. Balance baby. We had spent first few years of our married life spending, and most of the time, beyond our means. Of course it’s not at all for luxury or gadgets. Since we were newly married, we rented our own place and bought new furnitures and appliances. We just had our baby and brought-in our auntie to take care of him. We had maxed out our credit cards and this routine continue for a number of years. There were always emergency expenses (family assistance, medications, car repairs). We had several cards and had tried to pay more than the minimum required payments. The intention of getting out of debt was there but as I said, it was easier said than done. I started reading several financial blogs and stumble upon the idea of snow-ball strategy. I decided that I’ll give it a try. The idea is ordering your credit card debts from smallest balance to the highest balance (or if you want from highest interest to lowest interest). That time, my plan was to payoff the smallest balance first as I know it will be the fastest and emotionally satisfying way for me. After you figured out how much extra money you are willing to allocate for that month for payments (after all I know that there are months that you have ‘extra’ money, don’t lie! ), pay the minimum on every cards except for the lowest balance debt which you will pay all the extra money that you have. Do this every month until your first card is paid off. Then use the freed up payment amount to pay down the next debt even faster. Continue the process until all cards are paid off. I think we were able to close two cards using this method. Then another idea came to me. One day a meeting was called out by our previous VP telling us to avoid getting trap with debt. There were some office issues that involved some staff and their trouble with banks. He advised us to take a loan and pay those credit cards since paying the minimum amount will take forever. That struck a chord. I talked to my husband that night and we decided that we will take a loan for two years and pay all our cards. That was the best decision we did. Although our monthly loan payment was higher, we know for a fact that it will be over after two years. I don’t know why we never thought of it before. After two years, our loan was finished. The money we were using to pay off our loan was put into our savings account. We never thought that it’s an extra money that we can finally spend. I think the main thing here is discipline. We can easily use the extra money for something else but I guess we got tired of having no savings. Our son was already going to school and we know that we have to change our saving/spending habits. One more change we did is shifting the budget responsibility from myself to my husband. Ok, I will be honest, I am very lax with money and budgeting. I always lend money to friends and family and never ask them to pay me back. Of course this doesn’t go well with the hubby. We would also treat our family whenever we go out which was not practical that time since we were trying to get out of debt. When my husband, very gently, suggested that he wants to handle our finances, I contemplated for a while but finally said yes. Of course I feel defensive at first ‘You’re handling it now when we’re already debt-free? You think budgeting is easy?’. But I’m very practical and logical. If he feels he can manage it, then let him try. And after several years, I think this is the perfect set-up for us. I just spend and then he pays :). He will just tell me whenever we have some expected big expenses that month so I can slow down on my purchases. And I already got tired of online shopping and impulsive buying. I get more thrill seeing our savings growing slowly but surely. One more thing I did is listing our expenses. Each and every penny spent. Ok, I’ll come clean here, maybe I did this for like 3 months. It’s too much detailed work for me but if you can do it, you can easily identify all your expenses and can figure out which you can live without. 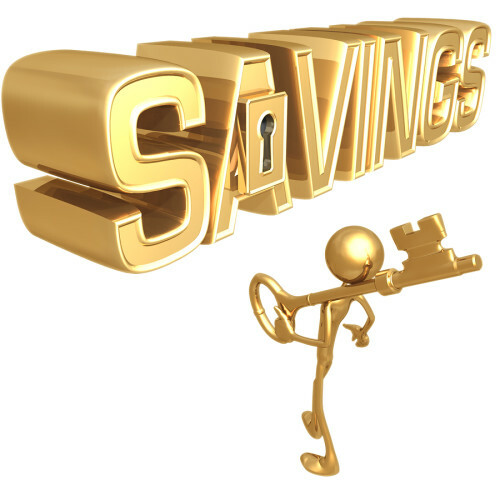 If there is one advice I can give you that is to treat your savings as expense. You never skip your credit card or loan payment right? You always include it in your budget no matter what so why not do it for your savings. Most of us pay off all our debts first, then allocate budget for necessities, and then what’s left become our savings. You see the problem here? Savings is in the bottom list. You may or may not have enough money left to stash away to your savings account. How many times we ended up having nothing left to save. Although we may have budgeted let’s say 10% of our savings this month, something happened and it never materialized. What we need is change our mind-set. It doesn’t matter how much you decided to save. It may be 40, 30, 20, 10 or 5 percent of your salary. As soon as you received your salary, put that savings percentage to your savings account. Treat it as an expense. A payment that you cannot afford to miss. Do this for like 6 months and then check your account. The feeling of accomplishing something will give you the motivation to continue. Believe me. Once you start saving, it will become a habit. A very good habit. I also automated some of my savings. I set-up a standing instruction to my bank to deposit AED 500 to National Bond. It would have been the same amount of money if I buy Starbucks every working day. Without noticing it, I were able to save AED 6000 that year. I then increased the monthly payment to AED 700 the following year. I had an increased in salary so why not increase the savings amount, right? As I said, building up your savings is a good habit. It will inspire you to save more and hit your goals faster. To summarize, these are the things I did to save money. Some worked, others didn’t but all had helped me to build a savings habit. You can try all and figure out which one works for you. – Use the snow ball strategy to pay off your debt. – If you are in a relationship, figure out who can manage the finance better and let that person to handle it. Saving should be a joint responsibility. – List down all your expenses. – Treat your savings as an expense. Last but not least, since I have always been a believer in the power of mind, I will share you one thing I did 5 years ago and still continue doing up to now. I always set savings goal. Five years ago, while talking to a colleague about our finances, I told her that my plan is to save this X amount after 5 years. That time, I have no idea how I can achieve it but I thought it seems to be a very good amount. Surprisingly, my husband and I were able to save the same amount exactly 5 years after that conversation. And until now I still set savings goal every year. It keeps me inspired to earn more. But be careful, as you can see the savings didn’t just magically appear in my account overnight. Me and my husband made it happen. It requires discipline. But I also believe that since the Universe knows that this is what I really want, my actions and behavior leads me to reach my goal. So go! Set your own savings savings plan. This entry was posted in Musings, OFW and tagged dubai expat, filipina expat, filipino expat, Personal Finance, Pinoy Blogger, Pinoy in Dubai.